Mar. 4 (NBD) -- The stock turnover in value on the Shenzhen Stock Exchange (SZSZ) in March broke the mark of 10 trillion yuan （1.5 trillion U.S. dollars）, hitting a new high since 2016, the bourse announced on Wednesday evening. Also, the number of newly-opened trading accounts for the month reached 2.99 million, rocketing by 109.1 percent compared with the prior month. In the meantime, the number of active trading accounts reached 26.32 million, while the metrics stood at 14.86 million in January. Deducting part of newly-opened accounts, it means around 10 million dormant accounts have been activated during the two-month period. All these figures point to one thing, investors are streaming into the A-share market amid the rebound. Combined turnover in value on the Shanghai and Shenzhen bourses in March surpasses 18 trillion yuan (2.7 trillion U.S. dollars), setting a new record since 2016. Institutions are bullish on the A-share market, forecasting that once Shanghai index moves past the 3200-point-level, it will easily touch 3500 points. 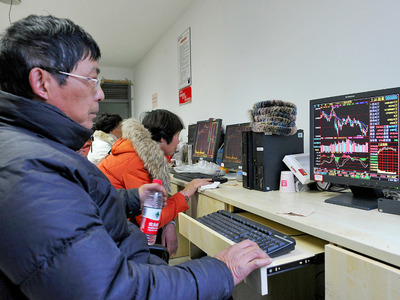 Zhang Yulong with China Securities deemed the market rally on March 29 as evidence of bullish views on China's A-share market and start for a second-phase bull market. According to the strategy team at China Merchants Securities, 2019 is most likely to see residents reallocate their capital into stocks from the real estate market. Apart from the property sector, where else does the capital influx come from? Investors who have had bitter experience in the crypto market. Xue Rong (pseudonym), a long-time bitcoin investor, said to the 21st Century Business Herald that profit opportunities in the A-share rally show crypto investors another way to get investment back faster. As a result, those investors would choose exit when Bitcoin experience sharp gains and allocate the capital into A-share stocks. "Ever since we invest in bitcoin, we have been played by its fluctuating prices, and we don't want to risk it further," Xue said. On April 2, 2019, Bitcoin prices surged massively, with the prices going up by 24% in 24 hours. This surge caught everyone by surprise and people started to look for a reason behind the pump. But for Xue, the sudden price rise lack support from the fundamentals and is more likely to result from some coincidence. Beisides, big crypto investors he knows are no longer willing to wait for bitcoin to turn the tables, according to Xue. Although some people are hoping that the surge is the beginning of another round of bull market for bitcoin, Xue said, "now what I want is to get out of the game and stop loss. I don't want to take risks anymore." "I am planning on selling off my bitcoin and having a try in the A-share market. Maybe I can take back what I've lost within half a year," Xue pointed out.